Tally Solutions has appointed Arvind Kumar as the chief of R&D (Research and Development) with effect from 8th November 2017. Arvind will directly report to the Tally MD, Bharat Goenka. He will be based out of the Bangalore head office and will lead the R&D team of over 150 resources. Arvind has been associated with stellar brands in the past and developed his expertise in defining and implementing platform solution for console, enterprise and cloud. Prior to Tally, he was working with Philips as Director R&D for Health Suite Digital platform. He has also worked with GE Healthcare, Hughes Network Systems, NIIT Ltd, and Methodex System in various technology leadership roles. “I am excited about the possibilities that lie ahead with Tally and honoured to have been made a part of this team. As an economy, we are in a very interesting space with the growing emphasis on technology and digitization, and I look forward to exploring these avenues in my role at Tally” commented Arvind on his appointment. 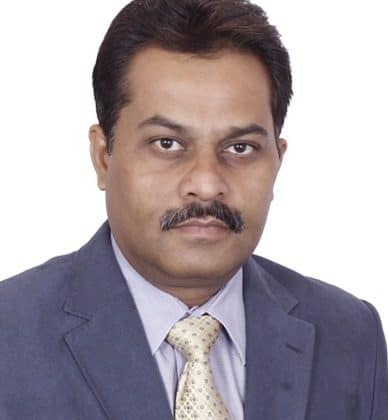 Arvind brings with him over 20+ years of experience in executing large scale distributed and enterprise software, Platform & Services, web technology, and cloud computing. His expertise spans across domains including medical imaging informatics, enterprise application, e-commerce and telecom. He has completed his B.E from IIT Roorkee. Tally Solutions appoints Arvind Kumar as Chief of R&D 0 out of 5 based on 0 ratings. 0 user reviews.